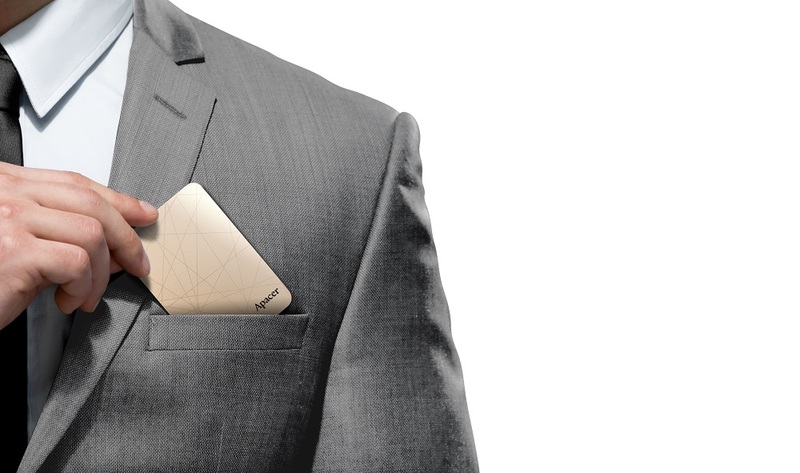 In a world where the meaning of big is constantly redefined by small, ASMini, the latest pocket-sized invention from digital storage leader Apacer, is certainly one step ahead. Featuring an admirable sustained read/write speed of 450MB/s and 400MB/s, this name card sized SSD offers a respectable capacity of 240GB(MAX) in storage. Engineered to resist shock and impact, your data will not only be safely guarded, but they can also be accessed when on a go without concerns over damage. The outcry for a light, compact memory storage that has the portability of a thumb drive and the capacity of a hard drive has finally been answered! 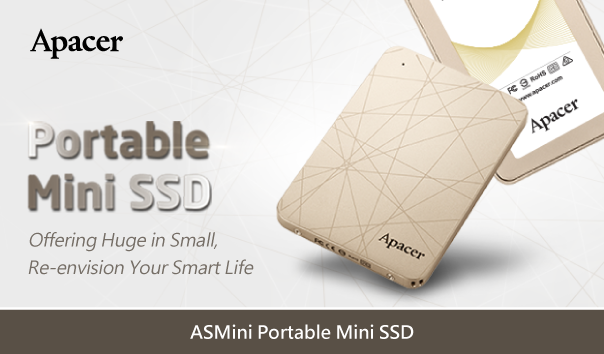 ASMini is an accomplishment of Apacer’s renowned expertise in mobile storage and techniques in building superb SSDs, or even better, it is anti-shock and comes with an ultra-fast speed, making it a must for professionals working around high mobility. At the size of a name card with 8.1 cm x 5.4 cm in dimension, ASMini has unequalled portability with only 0.6cm in thickness. It is designed to fit inside any pocket, delivering huge performance in a small package. With up to 240GB in memory capacity, ASMini can hold up to 6 hours of 4K video and truly satisfy those who have storage demands. Equipped with USB 3.1 Gen1 Type-C, with sustained read/write speed at 450/400MB/s, ASMini’s remarkable performance is undoubtedly superior to flash drives and conventional hard drives, as well as other products of the same grade. For example, to process one thousand 10MB images, only as little as 21 seconds are needed. The awesome speed makes ASMini ideal for other utilities, such as functioning as an external system drive or as a specified drive dedicated to audio-video usage. The amazing efficiency keeps all actions swift with fluidity. ASMini is engineered with the same level of protections against shock and impact as SSDs, withstanding up to 20G of vibration and 1,500G of shock force. Even when on a go, data can be accessed rapidly without the same damage concerns accompanying the conventional hard drives. The built-in advanced technologies like TRIM, NCQ, ECC 72bit/1KB, and S.M.A.R.T. can automatically monitor qualities to ensure better operation efficiency for extended lifespan. Meanwhile, Apacer publishes specially designed Apacer SSDWidget software which allows users to examine the SSD status as well as instant firmware update. Apacer ASMini is equipped with Type-C port to keep its high speed transmission stable and smooth, with sufficient bandwidth. The port allows reversible plug, which eliminates wearing caused by repeated insertion and removal. An adaptor cable converting between Type-C and Type-A is included, compatible with any computer or laptop, which generally comes with Type-A ports.